A few days ago, there was a gas explosion at a mall in Sarawak, Malaysia. The explosion killed 3 people and injured 26 people of which 4 are in critical condition. Read more: Several Injured After Explosion At Kuching Shopping Mall. As a survivor of a gas explosion, it saddens me to read such a news. I hope in the future, the public will be more aware of gas safety and take extra precaution when handling gas tanks. When gas leak is suspected, try shutting the valve or pulling off the regulator. Don’t switch on any electrical switches as it may trigger a fire or even an explosion. When I was at the burn ward, a mother and daughter were also admitted as a result of burns from gas explosion. It was dark at that time, as soon as the mother switched on the light; the explosion happened. Luckily, they suffered less than 30% burn and was at the hospital for only a few months. It might have been worse. It is important to disperse the gas accumulated by opening the windows and doors. However, this does not mean that the gas has totally disperse. 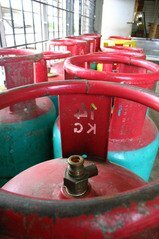 More than a year ago, there was an interview with the assistant director-general of the Malaysian Fire and Rescue Department with regards to gas safety. 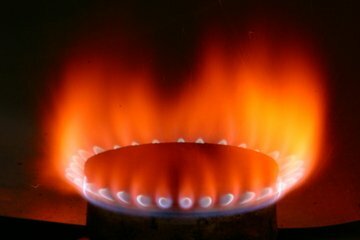 In my personal opinion, if you are not sure whether the gas situation has turn safe, and the smell is still very strong; it is best to leave the house and call the fire station. > Before using a gas cylinder, check its condition. Pay attention to the rubber seal inside the cylinder head (after the cap is removed). The seal prevents leaks after the regulator is inserted. > Replace the hoses and clips every two years, and the regulators, every five years. > Avoid over boiling from pots. Spilled soup/gravy can get into/block the gas flame holes. > The cooking area should be well-ventilated but don’t place it directly in front of windows/fans as the wind can blow the flame. It is indeed necessary to take proper precautions at home to save you and your love ones from harm. As for my family, we switched to induction stove after the gas explosion incident.